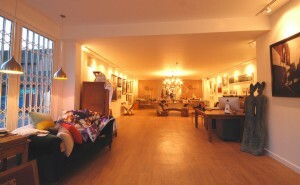 Emily will be teaching an oil painting workshop at The Art Works in East Horsley. To book please contact elaine@works-of-art.co.uk. Workshop Aim: Working in a modern, creative environment, professional artist Emily Angus will give you a comprehensive introduction to oil painting, covering the materials and methods most commonly used.Under her guidance, you will have the opportunity to explore and realise the possibilities of a variety of materials and mediums.You will develop strategies and procedures for working which will enable you to generate a body of work to suit your own personal interest.The studio work will be based around still life set-ups. Emily will be demonstrating her techniques and will happily guide both beginners and the more experienced painters, so you can explore and enjoy yourself! Studio equipment: Easels and stools will be provided (as will tea, coffee and biscuits!). Apron or coverall to protect your clothes!